Eli’s not the easiest baby to have around when you’re trying to cook or bake something – he’s quite annoyed at not being able to see what is going on and then tries to grab everything if you’re cuddling him. 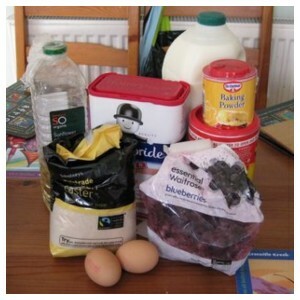 So if I want to make anything it really needs to be quick and easy and that’s why I love these muffins. They satiate my need to bake but unlike cakes don’t need to be iced so a few steps and 30ish minutes and I’m eating yummy food. The base recipe I use is by John Burton Race and I found it in a kids cookbook called ‘Star Cooks’ that Lex was given as a gift some years ago. 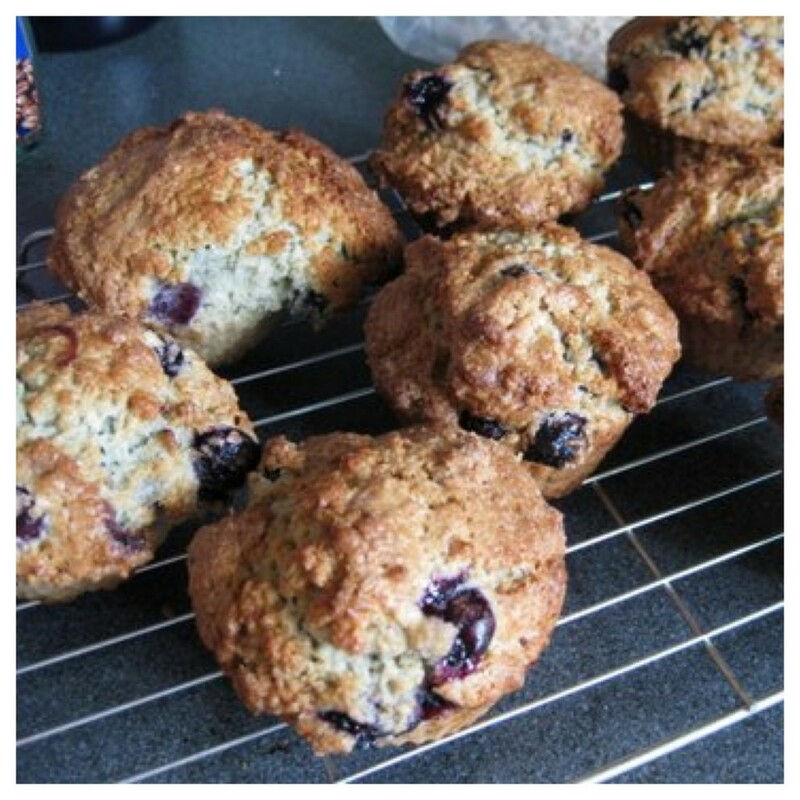 Place the muffin cups in the tray or lightly grease the tray if not using muffin cups (I use a set of silicon muffin cups because I can’t really be bothered with the effort of greasing or the waste of paper). Whisk the milk, oil and eggs together. In another bowl place the remaining ingredients. Pour the wet ingredients into the dry ingredients and mix until all the flour is incorporated (can take a little bit of elbow grease). 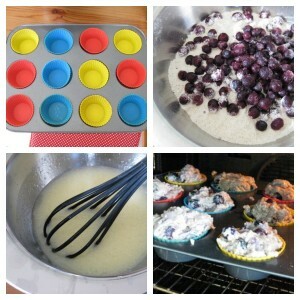 Portion the batter into the muffin cups – the muffins don’t rise excessively so don’t worry if they are quite full. 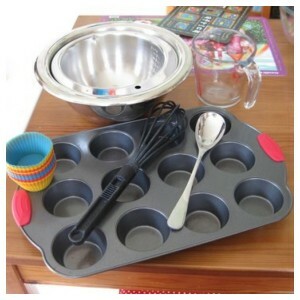 Place the tray in the oven and bake for 20-35 minutes until the muffins are golden and springy when touched. Once cooked remove the muffins from the oven, allow to cool for 5 minutes and then place on a wire cooling rack (I take mine out of the silicon cups at this point). 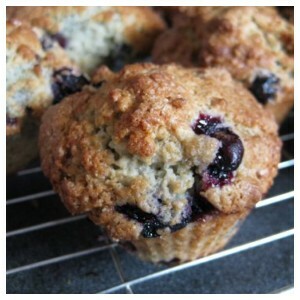 Eat at least one muffin warm from the oven.